YouTube has over 1.8 billion users every month now, inching closer and closer to Facebook’s 2 billion. But of those 1.8 billion logged in viewers, it’s estimated that only 500,000 have followers above 10K (that’s a .02% piece for you math geeks out there). Why is that significant? Because of the new YouTube monetization policy that rolled out this year, tightening up the monetization policy even more. In 2017, YouTube capped the possibility for channel monetization at 10,000-lifetime views. In 2018, they upped the ante and added new qualifications, including knocking channels with under 1,000 subscribers and less than 4,000 hours of view time per year out of the running for monetization. 1. It encourages the use of spammy services that offer to get channels followers for a fee. We all know those services — you pay a simple “fee” and then your follower numbers go exponentially up. There are two big problems with that: everyone could find out, and those “real people” could be, in actuality, not real. While having to admit that you bought followers might just be a hit to your ego, the fact that you might not be buying “real” followers has actual consequences, including the fact that they may never interact with your channel in any way. So if your plan was to get a bunch of followers to hit the 1000 threshold, that’s great, but it won’t have any effect on the other part of the new rule: the 4,000 hours of view time per year. 2. YouTube is calling this an opportunity for them to be choosy about content. In the release, YouTube said these measures would “allow them to significantly improve their ability to identify creators who contribute positively to the community and help drive more ad revenue to them.” While this jargon seems positive toward creators, it actually means YouTube has created an unspoken guideline for keeping the content off the platform that they don’t want, and here’s what’s going unsaid: If you’re not growing fast enough, we don’t want you. 3. This only protects the advertiser from showing on “low viewership” channels and doesn’t help the creator. YouTube has a platform because of the content that creators like you are making — how come this new rule is actively trying to lean in favor of the advertiser? Because YouTube is looking out for its own money flow, rather than the health of the people who made their platform one of the biggest in the social realm. Now the young content creators who were using the extra income to invest back in their business and eventually get to the big leagues are out of luck. So what options do authentic, small creators have? They can wait for the laws to change, stick it out until their subscribers and views to go up, or they can discover additional content streaming platforms like Endavo’s digital network. With our custom OTT platform, you get to monetize exactly how you want, stream through multiple platforms, and syndicate across channels (including YouTube). Let us help you automate your distribution across your own apps, OTT platforms, and social networks from a single management system. You make the content, your publish, you gather the viewers (we can help! ), and then you make money however you want — it’s that simple. 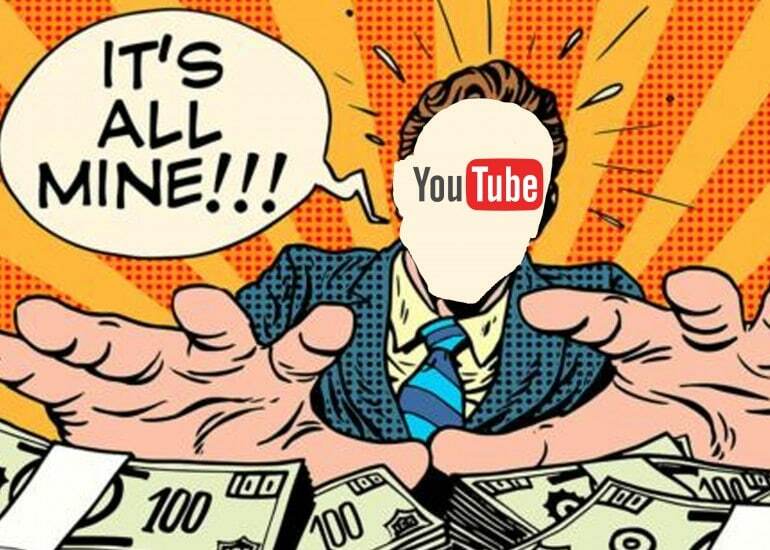 Next PostIs It Time To Monetize Your Video Content? Here’s What You Need To Know.